Flinders Street Station, Melbourne A focal point of Melbourne City, Flinders Street Station is a grand sandstone building which in its recent form has stood at the corner of Flinders and Swanston Streets for over 100 years. Captured at dusk the passing crowed blur with the long exposure. 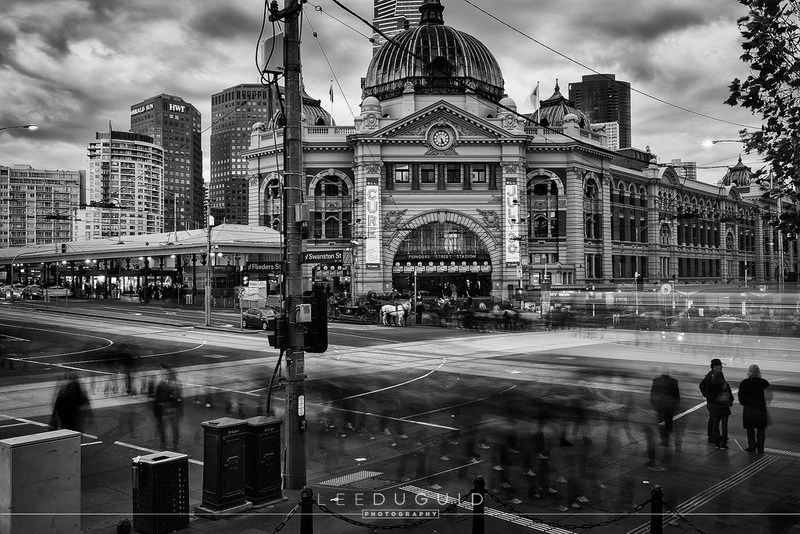 Flinders Street Station, Melbourne won a Silver award at both the AIPP NSW Landscape Photographer of the Year 2010 and the AIPP Landscape Photographer of the Year 2010.